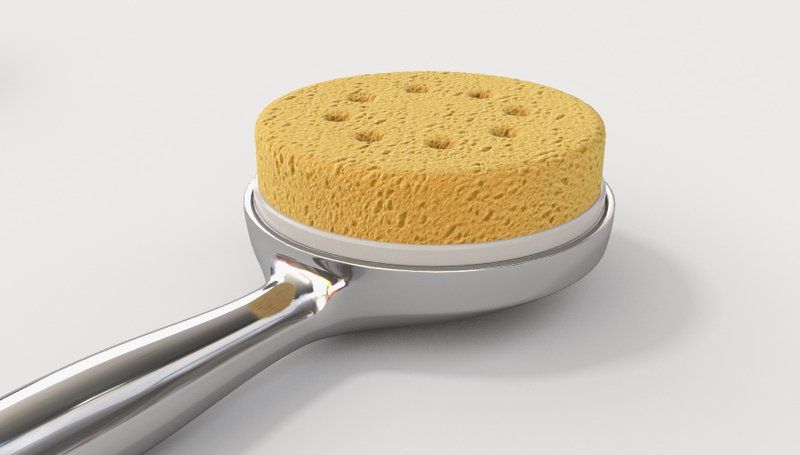 Scrubby Buddies is a convertible shower head capable of being equipped with various accessories such as a sponge, loofah, brush, and more. The device aids an individual in retaining continuous running water while washing with soap. Provides individuals with numerous shower head attachments designed to help an individual wash while reducing clutter in and around bathtubs. Includes attachments that twist-lock onto the face of the shower head such as a loofah, sponge, rag, and the like. Allows users to retain continuous running water on their body as they wash.
Utilizes a set of magnets in order to attach all types of shower head attachments to the device. Eliminates the need to store numerous items around the ledges of the bath or shower by providing all-in-one, convenient access to any necessary washing items. When bathing or shower, individuals generally have a wide variety of tools in order to clean themselves thoroughly. People use sponges, washcloths, loofahs, and more to wash. These items are typically stored on the ledges of a shower or a bath, and along with soap and shampoo, they take up an exorbitant amount of space in the bathroom. The clutter can look unsightly and may leave a bathroom looking unsanitary. 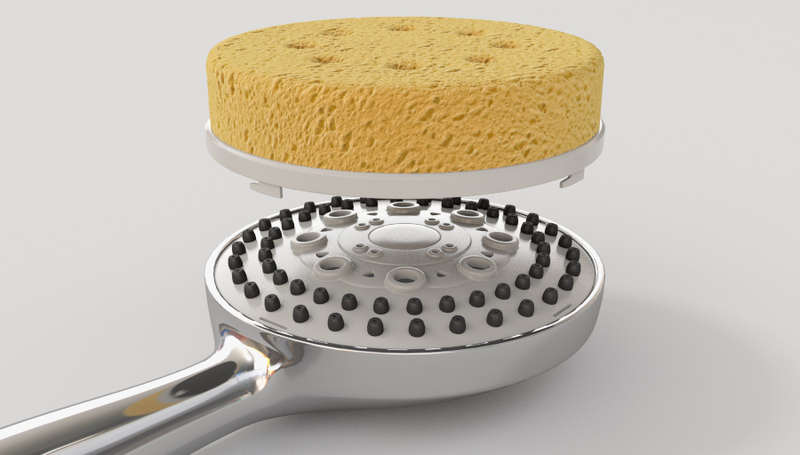 Scrubby Buddies attach directly to a shower head by utilizing magnets, providing individuals with various attachments in order to reduce clutter around a bathroom and make it easier to wash with continuous running water. The convertible shower head is comprised of a shower head with a female receiving end capable of secured to a male end of a shower head accessory. 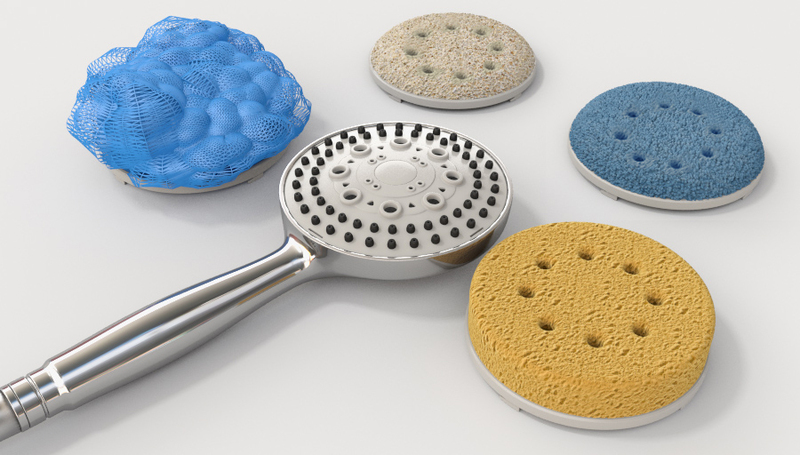 The shower head accessories may include sponges, loofahs, brushes, washcloths, and more. Each of the female and male ends features a magnet so the ends may be attached to each other. 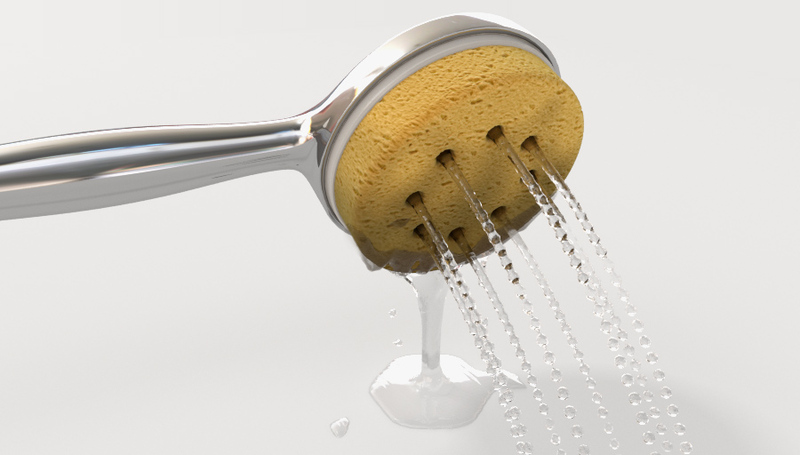 The attachment feature small holes in which water can continuously run through while bathing. Both ends may be detached via a release lever on the side of the shower head. Further, alternate embodiments of the device may be available for use on a sink faucet head. Individuals may be able to utilize these attachments in a kitchen or other area that needs cleaning. Scrubby Buddies can be constructed using stainless steel and other suitable materials. The shower head may be available in different sizes, and the head attachments can be made to fit the size of each shower head. Exact size, measurement, construction, and design specifications may vary upon manufacturing. FIGURE 1 Shows a woman using the shower head with a loofah attachment. FIGURE 2 Shows a shower attachment being lowered onto the shower head. FIGURE 3 Shows how the attachment can be twisted on to lock it onto the shower head. FIGURE 4 Shows the shower head and various attachments which can be utilized. FIGURE 5 Shows how water continuously passes through one of the attachments.